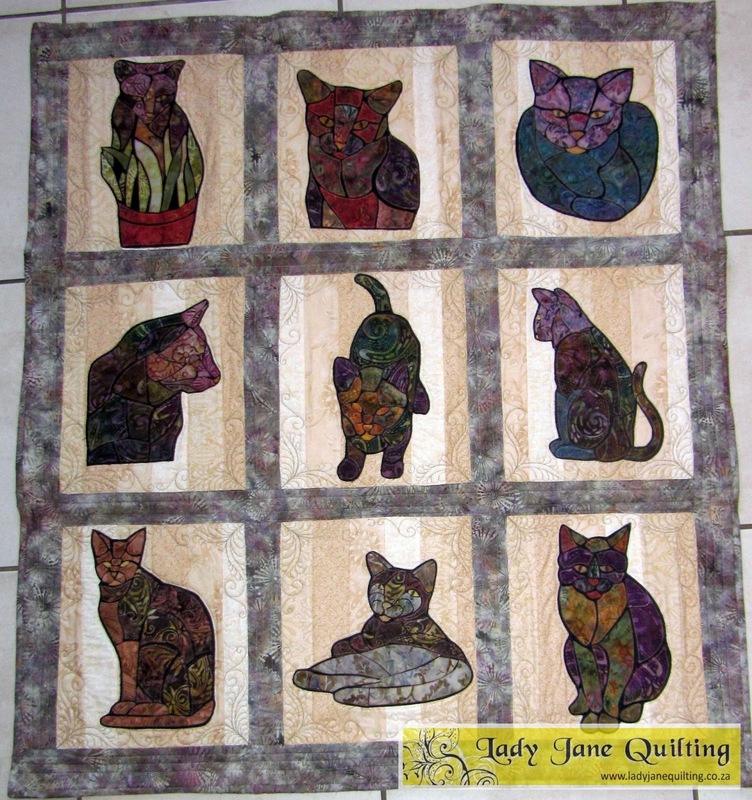 So after I have finished Anna’s Cat Quilt, I received Colleen’s Cat Quilt…just to add something. 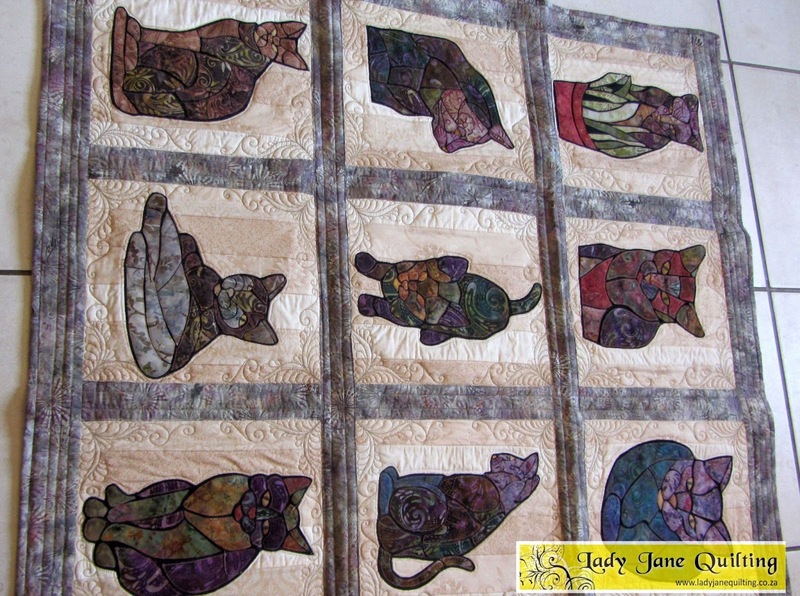 She had already completed the quilt, binding, ditch work and straight line quilting all done. I just added the scroll featherly corners. I love it! Hope Colleen loves it too! 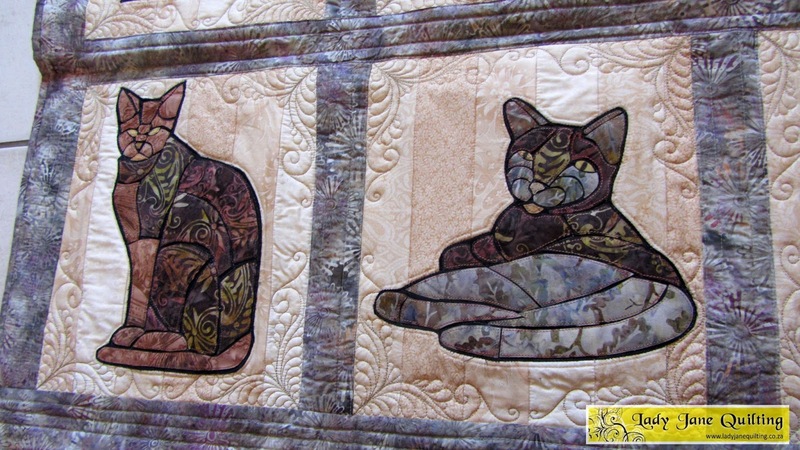 I did these corners completely free-motion on my little Bernina Activa 210. *Love* those corners! 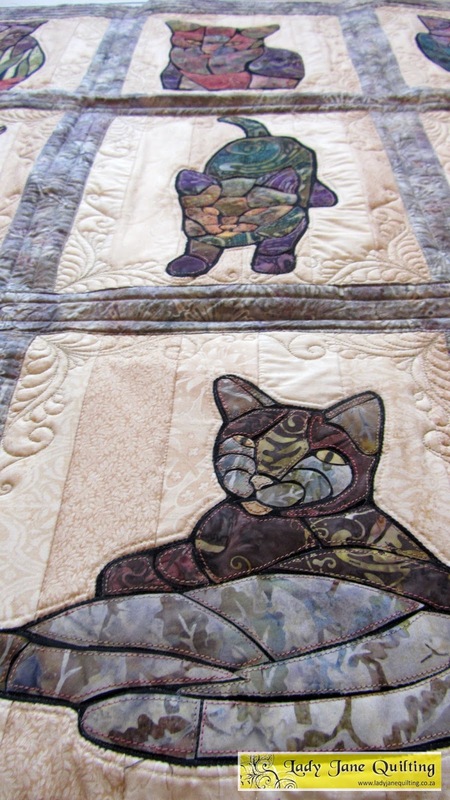 OK, fmq on your Bernina – do you mark first? If so, what do you prefer to use? LynCC, thanks for visiting and the nice comments! 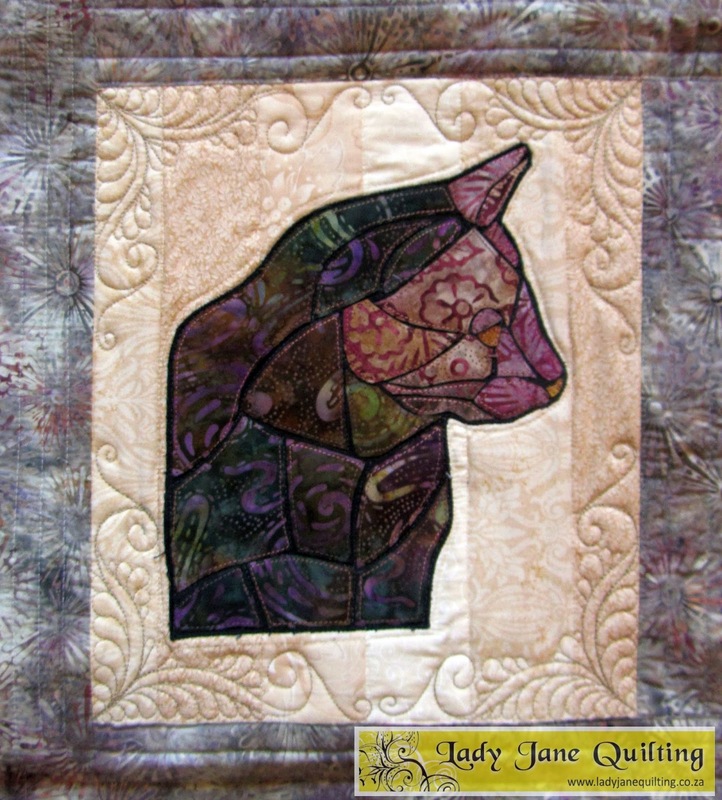 Yes and no, if it is something like this project where I want the corners to mostly look the same, then I mark. I draw each design out with a blue water soluble fabric marker pen. It's effective and cheap! This particular design I have drawn each corner out freehand, ie no template. 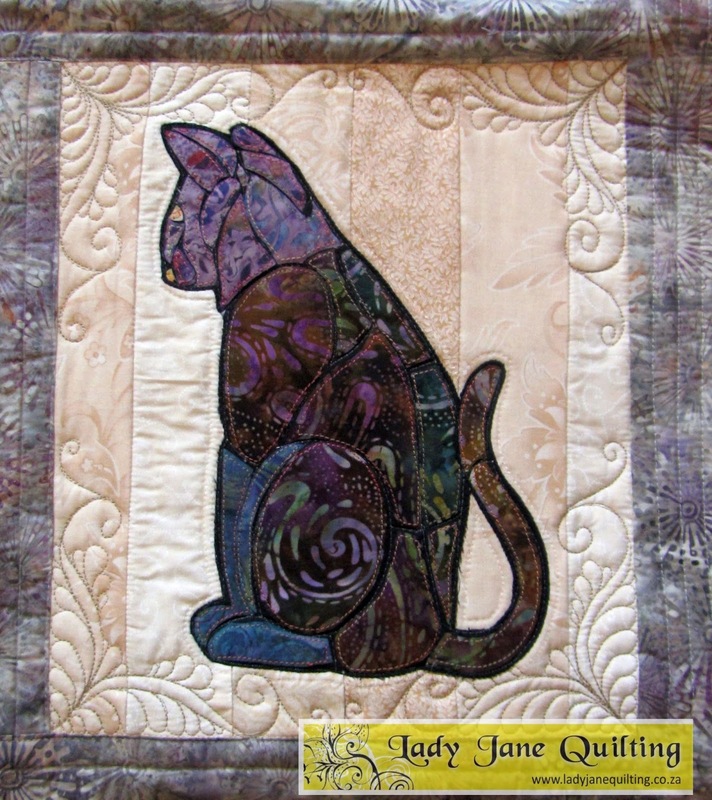 If it requires absolute precision, then I would make a cardboard template of the design and then draw onto the quilt. To remove the marks, make up a mix of 1 tbs bicarb soda and 1 1/2 cup ice water. It neutralizes the acid in the pen to keep it from resurfacing once dry. For dark fabrics I use the Clover white fabric marking pen, it removes with heat.